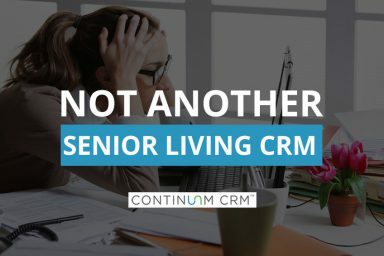 Think there’s no need for another CRM application designed specifically for the Senior Living industry? Think again. 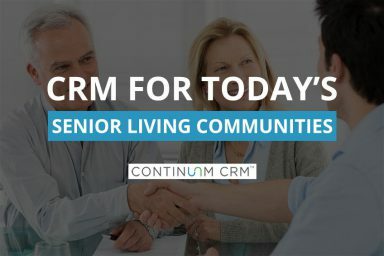 The industry is evolving and Senior Living sales and marketing teams need new ideas, new approaches, and better tools to stay ahead. 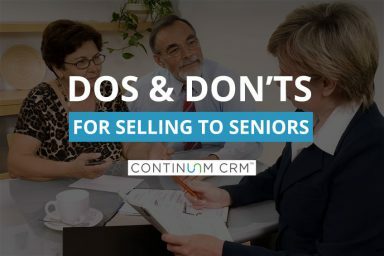 It takes more than a thorough understanding of features and benefits to sell Senior living effectively. 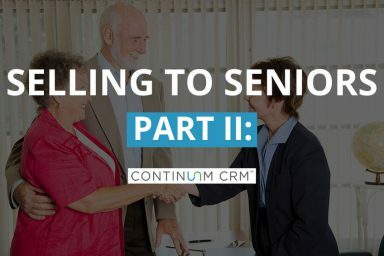 In part 2 of our Selling to Seniors series, we examine some of the skills needed to be a successful sales counselor in the Senior Living industry. 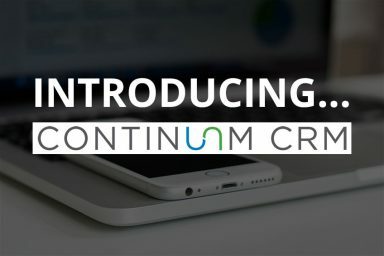 Continuum CRM is a cloud-based CRM software application designed specifically for the Senior Living industry. Learn more about who we are, what we do, and how we can help you sell, market, and manage your inventory more efficiently and effectively. 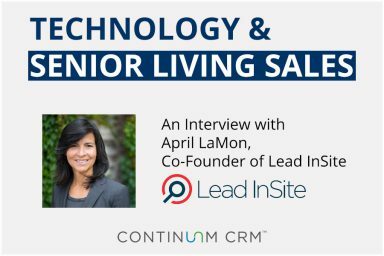 Recently, we spoke with April LaMon, Co-Founder of Lead InSite. 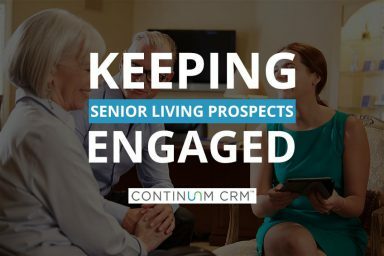 We discussed technology in senior living marketing and sales, the need for a robust CRM system capable of integrations, how the landscape of senior living marketing and sales is changing, and more. The world of sales is in a state of constant change. Last week I came across an article from 2004 listing the most effective sales tools. Topping the list was join a local networking group to exchange leads. Third was make cold calls. Today I shudder at the thought at either of those. I cringe every time I hear a sales counselor say “I’m calling to check-in.” Let’s face it: you’re not. Checking in is the sales counselor’s way of testing whether or not the prospect likes them enough to take their call. The hope is that they’ll tell you they are ready to move in. Selling in Senior Living today is vastly different than years past. Forget order taking when the silent generation lined up to be residents. Gone are the residents that moved in, demanded little, and silently lived happily ever after in the community they felt thankful to be able to afford. 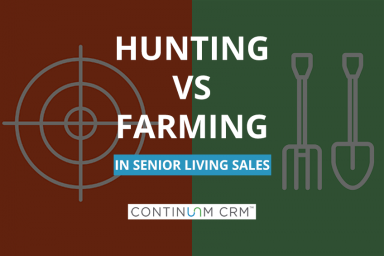 In senior living sales, you need to be a little bit of both a hunter and a farmer. You have to find quick wins (hunting) in order to sustain yourself as a sales person for the long game (farming). And in senior living, it can really be a LONG game.